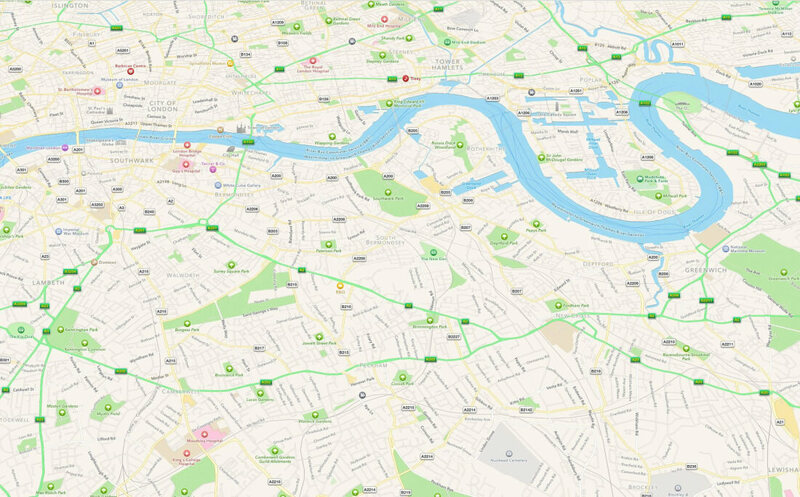 Apple is stepping up its efforts to close the gap between its own mapping app and Google’s. According to Bloomberg, the company is assembling a team of robotics and data-collection experts that will use drones to capture and update map information faster than its existing fleet of camera-and-sensor equipped minivans. This includes monitoring changes to roads, street signs, and spot areas under construction. Using drones to collect the huge amounts of mapping data could prove quite challenging under current regulations. Official commercial drone guidelines introduced in August mandate that drones can only be flown during daylight hours, and licensed pilots must keep the drones within their line of sight during operation. Apple also can’t fly its drones over people and buildings. Apple has committed to these guidelines according to FAA documents. The company is said to have hired at least one employee from Amazon’s Air division to help run its own drone team based in Seattle. Aside from data collection using drones, Apple is also reportedly developing a new feature that will let users view the insides of buildings, thanks to its Indoor.io and WifiSLAM acquisitions, as well as a feature that provides better guidance for changing lanes while driving. Apple suffered a critical backlash in 2012 when it decided to replace the pre-installed Google Maps on iOS 6 in favor of its own -- admittedly lacking -- mapping solution. They’ve been busy working on improving it ever since, with updated data, new imagery and new features. It’s gotten a lot better and dependable but the general consensus is that it’s still no match for Google Maps.